At Mullooly Asset Management we want our clients to think of us as their personal CFO (Chief Finance Officer). We address many topics/questions that our clients ask us in this section. 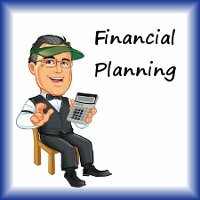 Financial planning is a very broad topic, some of the specific areas covered here include: saving for college, retirement savings vehicles, retirement planning, investor behavior, financial goal setting and much more.